Google Developers Blog: Polymer 1.0 Released! 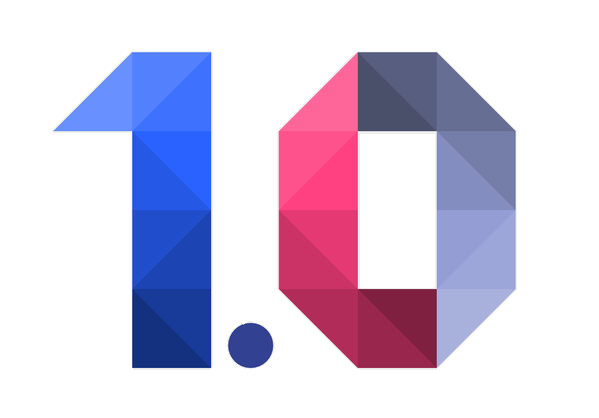 Today we released the 1.0 version of the Polymer library. Polymer is a new way of thinking about building web applications - a sugaring layer on top of Web Components, making it easy for you to create interoperable custom elements. These elements can then be put together to create app-like immersive experiences on the web. Since the “Developer Preview” release, we’ve re-written the library from the ground up, focusing on cross-browser performance while keeping the developer-friendly ergonomics. The new library is about 3x faster on Chrome, 4x faster on Safari, and a third less code than in developer preview. And it’s ready to be used in production applications. It’s easier than ever to create high-quality, production-ready elements using Polymer, to use in your app or share with other developers. Check out the many brand-new element product lines built by the Polymer team with the Polymer elements catalog. There you can browse for elements to help create or add features to your web app - whether you need buttons or layouts, Google maps or push notifications. For just about any problem you might need to solve on the web, there’s an element for that. Looking for a fast and easy way to get started building a production-ready web application using Polymer? Use the Polymer starter kit. Packed with the latest elements, ready-to-use boilerplate, and an end-to-end toolchain to use from development through production deployment, the starter kit works out of the box so you can focus on adding features right away. We’re incredibly excited about this release, and can’t wait to see what you’ll build!